I went on a road last week along the coast down from Big Sur it was spectacular I’ll be sharing more pictures from that trip soon. On the back home we stopped at a persimmon farm and picked 27lbs of fuyu persimmons! 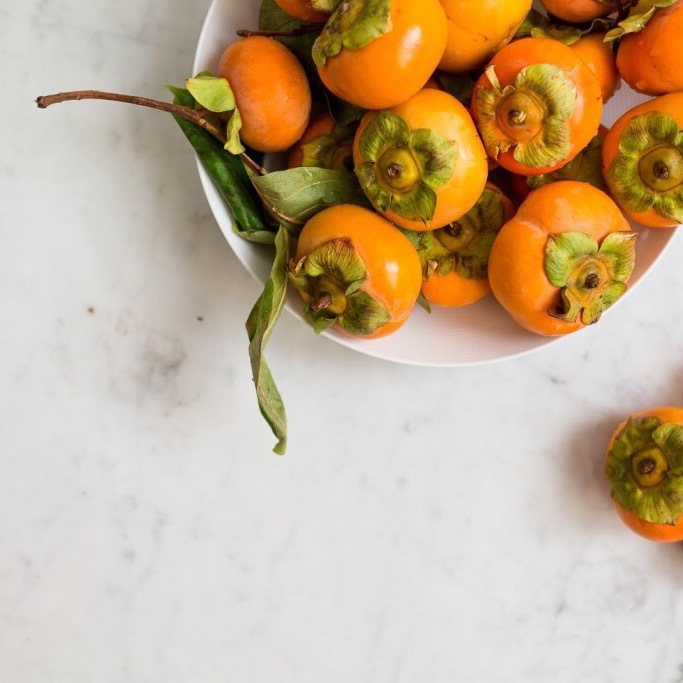 I remember eating persimmons as a kid – we didn’t have them often growing up in Georgia I don’t think they were as readily available as I find them here in California. 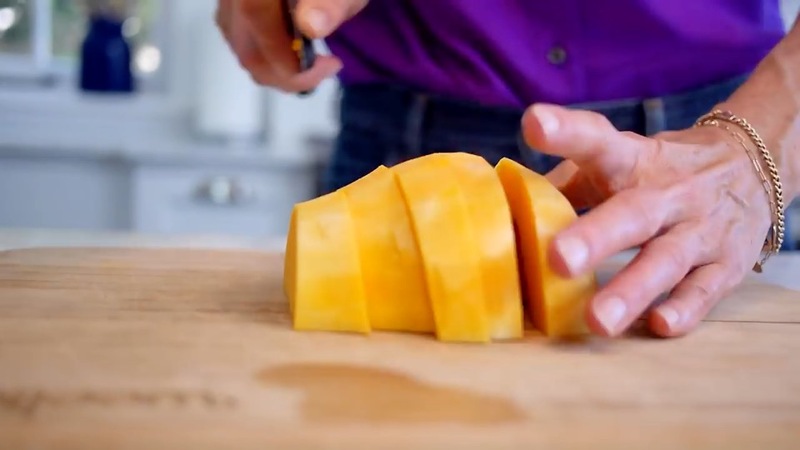 The fuyu persimmons are the squatier looking persimmons that can be eaten while they are still firm or wait till they are soft. The flavor is sweet and cinnamonish. So now I’ve got a ton of persimmons that I’ve been eating as a snack but thought I could combine them into a few of my meals too. 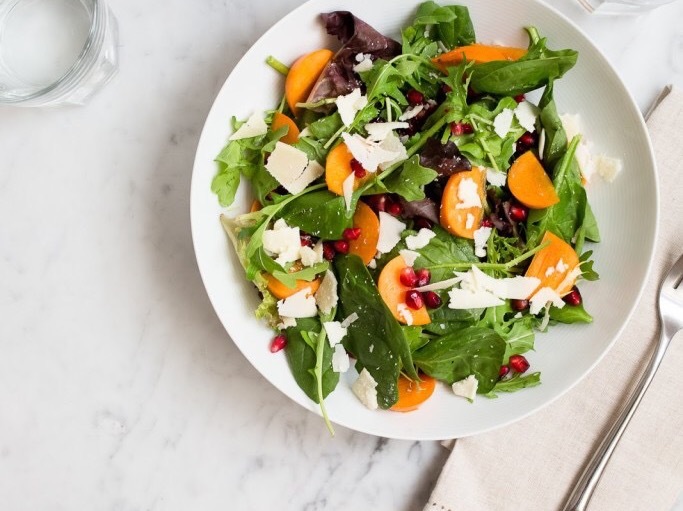 Here is a delicious persimmon and pomegranate salad. 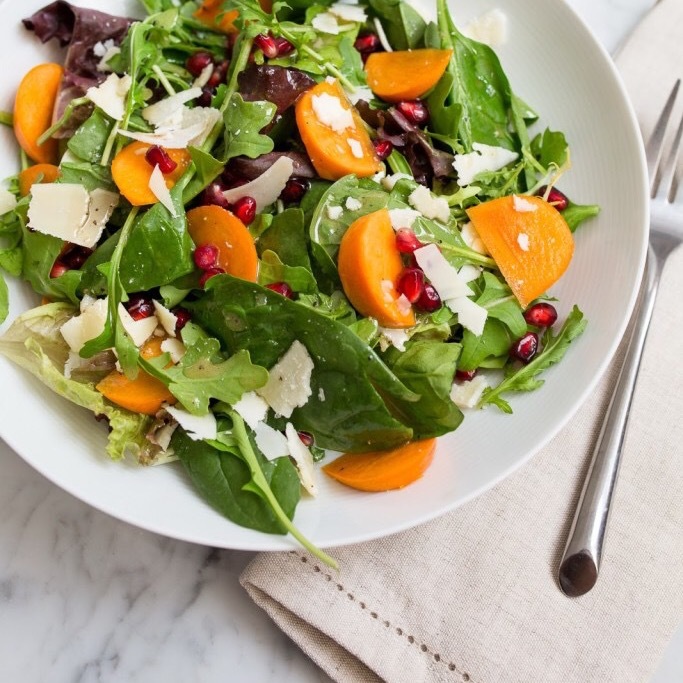 I love the colors of the the persimmon and pomegranate combined – could be a beautiful salad for a dinner party perhaps? 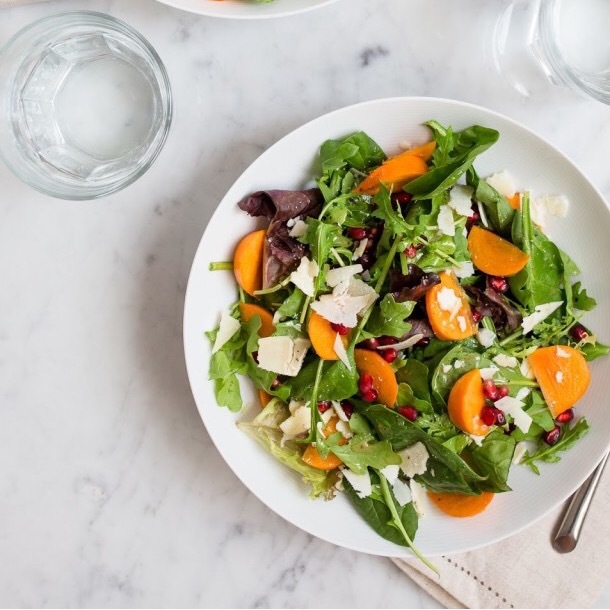 Combine all ingredients for dressing into a jar and shake vigorously until well combined, add additional olive oil, salt or pepper as necessary. Set aside. 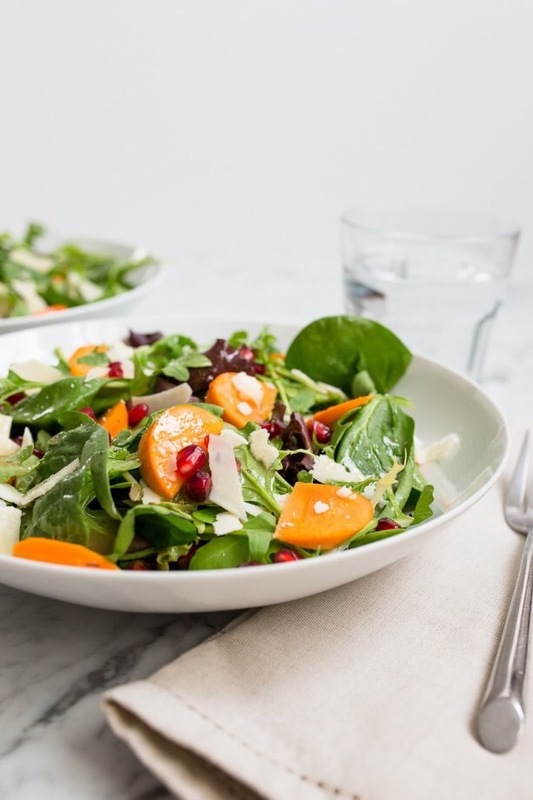 Combine all ingredients for salad, toss in a few tablespoons of dressing.